Heritage Guild Windows is a traditional company owned and run by craftsmen, and serving the Northamption, Leamington, and Midlands areas and beyond. Our aim is to preserve the character and heritage of the nation. We offer both the services to renovate your existing Sash Windows and Casement Windows, and also the manufacture of quality traditionally-made windows. 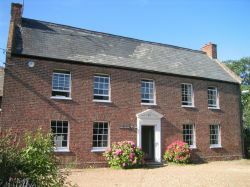 Specialists in both the restoration, refurbishment and manufacture of traditional wooden sash windows and casement windows, we offer a high quality service for renovation and draught proofing of your existing window, or supply of new windows that will grace any property. We can even complete your windows with a quality paint finishing service. Heritage Guild Windows can supply exact replicas of existing windows for listed buildings and conservation areas, or bespoke designs featuring double-glazing to meet today’s exacting building regulations for new homes or properties that are being restored. We are passionate about what we do and know that the top quality products and services we offer will be an investment that will add value to your home, enhancing its character and providing the comfortable environment we expect in the modern world. Expert advice on all aspects of traditional windows is part of our focus on providing a level of customer care that will exceed your expectations. offering you the ultimate in peace of mind through our traditional products and services, our craftsmanship. and our knowledge all backed up by our guarantees of quality and durability.